Our company's technicians have the knowledge and the skills to handle any type of problem your garage door throws at you. Give our latest projects below a look to see some examples of our most recent work. 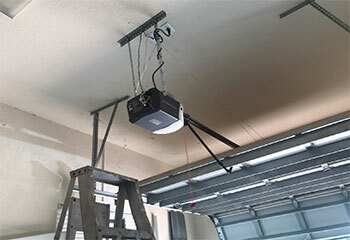 Customer Issue: The garage door seemed to be dragging for this customer rather than moving smoothly. Our Solution: Our professionals pried the tracks open to take a look at the rollers and found that they had become rusted over time. The damaged rollers were replaced with new ones before the track was closed up again and the system tested to assure it was now working easily. Customer Issue: Rusty and damaged track. Our Solution: This customer's tracks had been older than his door, and their condition reflected their age. We replaced them with new ones, and made sure the rollers could travel inside them without any issues. Customer Issue: Needed a new opener. Our Solution: If the issue only involved the circuit board, we would simply replace that component, but the drive system and the motor also exhibited various problems, so we suggested that replacing the entire unit would be the way to go. The customer decided to have the Genie 7055-TKALV belt drive opener installed, due to its silent operation. We installed the new unit for him and showed him how to use its different features. Customer Issue: Frayed lift cables. 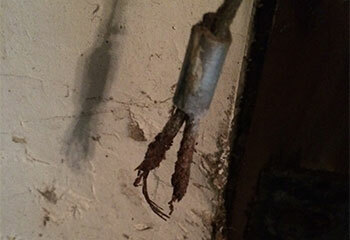 Our Solution: This customer's cables were looking very bad, and we were worried they would break, which could cause the panels to collapse. We quickly replaced both units with new ones, and then adjusted them to ensure the door could open and close smoothly. 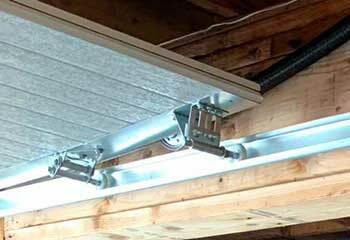 With over 10 year of experience, Garage Door Repair Natick can handle any repair or installation project. Same day garage door repair service, seven days a week. You will always be happy you called Garage Door Repair Natick for help. 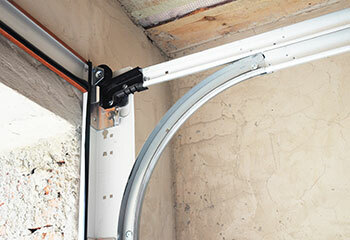 Your garage door will return to proper use with no risks whatsoever.